I wonder if your Facebook feed resembled mine this morning: chock full of pics of little ones about to start their first day of kindergarten, fifth grade, high school, all posted by disconsolate parents, excited for their kids but terrified about how hard it can be to start something new. I’ve certainly been there before. By the time I graduated high school, I’d been to eight different schools, in six different states, in two different countries. I was the “new kid” time and time again, sometimes transitioning into a new school mid-year. It’s difficult being the new kid regardless, but starting in the middle of the year is brutal. Social groups and daily rhythms are well-formed by then and it is tremendously difficult to find a way to break in, to find friends, to flow into the rhythms. However, starting new schools time and again gave me some valuable skills: flexibility, the ability to make friends quickly, the intuition to know when to listen and observe and when to jump in and speak up. It also gave me some unfortunate traits: I find it difficult to maintain long-term friendships, since somewhere in the recesses of my brain, I don’t know if I’ll be here (wherever “here” is) for long; and I’ve exhausted my enthusiasm for jumping into large social situations where I don’t know anyone. My dirty little secret: I’m deeply uncomfortable at parties. It’s hard for me to go places where I don’t already know everyone. Though I’m fascinated by people, the vulnerability I feel and emotional cost it takes when I engage strangers is extremely tough for me. Every time I walked through the doors of a new school, my stomach dropped. It didn’t matter if I was six or sixteen – it was always grueling. Kids are wonderful, kids are cruel, and I found all kinds everywhere I went. What saved me, every time, was, of course, the arts. The first thing I’d do in any new school was seek out the choir kids, the band musicians, the actors, the artists, the sometimes so-called freaks and geeks. I knew my people, and I chose them, and often, they chose me. Want to know how to make a gaggle of close friends within a week? Do a play. Want to know how to meet lots of new kids? Start a band. Want to find people who speak your language? Pick up your cello and go to orchestra practice. And – hey – want to surround yourself with wonderful, passionate, smart, creative people? Get a job at an arts non-profit. But I digress. Today, I took my sweet little 4 ½ year-old boy Andrew to his first day of preschool. Because he’s been in daycare since he was four months old, this is actually his third “school” in as many years – but this is the first transition he’ll remember. Most of the kids in his new class have been together for years, as part of the school’s infant/toddler program, so it’s like Andrew is starting mid-year. 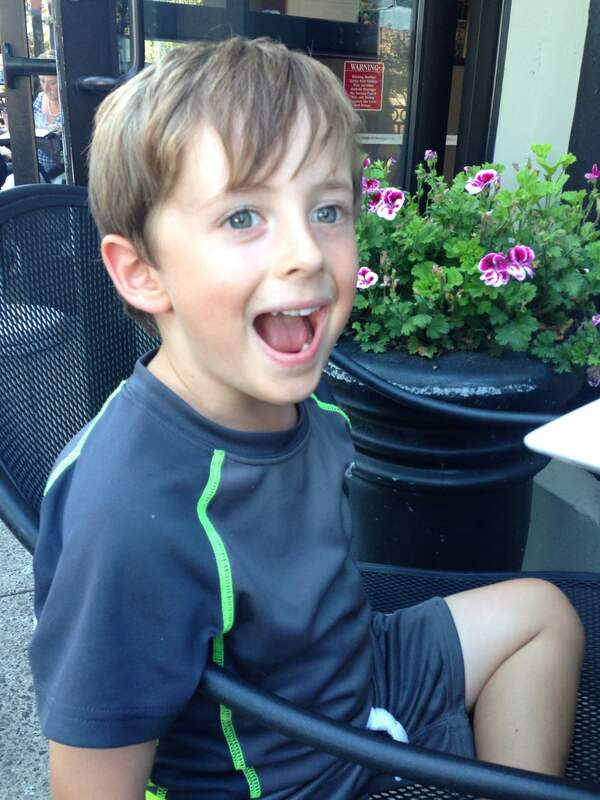 My introspective, insatiably curious, highly athletic, highly anxious little man is right now doing his first major transition into a new space. The first of, possibly, many. This is just a “visit” day. I stayed with him for about half an hour before leaving him there on his own for the morning. He’s painfully shy in new situations, and clung to me like a little monkey, unwilling and unable to jump in with the other kids. Slowly, slowly I peeled his fingers off my arms and showed him around. We picked out a huge book about the solar system and started talking about the planets. While we were talking, the classroom teacher pulled out some paper and markers, and Andrew started sketching Mars and the earth. Rambunctious four- and five-year olds, who had been playing noisily all around us, started to crowd around, to see what we were doing. It was a brief, quiet moment, and it started a conversation about our solar system (one little girl declaring that Saturn was actually purple) that quickly moved on to other things. But that moment when Andrew was crafting the sketch was the first time the kids really “saw” Andrew, and a few minutes later, he stood up and left my lap of his own accord to go with the other kids to check out the wasp traps that were outside the window. In an hour, I’ll go back to pick him up. We’ll do another half-day visit this week, and next week he’ll start the school full-time. Certainly this is a far gentler means of transitioning than when I was a kid. (In the manner of 70’s and 80’s parenting, I was dropped off at the street in front of school with a “good luck, see you after school”.) But it’s still hard, and the very least we can do as parents, caregivers, and educators is give kids every tool possible to find their way. Many of my colleagues here at the Arts Council say that the arts, one way or another, saved their lives. I am no exception. That help, that guidance, that sense of belonging is never more important than in the grade school years, when it can be so tough to simply make it through the day. When I joined the Arts Council in 2009, our Arts Education program was our least-staffed and smallest program. It is now our largest budget item, with three staffers, impacting more than 12,000 kids each year. We focus on arts ed not just because of all the creative skills that the arts give to kids, or the connections it creates in families, or the alternate means of learning it provides; we focus on it because for so many of us, the arts were the difference between surviving, and thriving, or not. My kid needs those tools. So does yours, or your grandkids, or your friends’ kids. And so do you. We all do. As we send our littles, or not-so-littles, off to a new year of school, it’s worth asking if we are doing all we can to equip them for the hugeness of the world. The Arts Council can help. If you want to get involved in our Arts Education programs, if you want to know how to encourage more arts at your local schools, drop me a line. I’d love to hear from you. And now, I’m off to pick up my kid, and find out how his first day was. He probably handled it better than I did! In one day, I talked to 250 people, discovered the breadth of my personal biases, witnessed great work by dozens of researchers, administrators, and artists from around the world, and ate five mangoes. Where does such a thing happen? Museum Camp, at the Museum of Art & History in Santa Cruz. Before, during, and after, I’ve been hard-pressed to describe what Museum Camp is. Part conference, part social experiment, part sleep-away camp, part Burning Man for research geeks, this 3 ½ day event brought together 100 people from around the world to “measure the immeasurable” – namely, “social impact assessment” – measuring the effects of a program in a community. We worked in small teams to choose research locations and then developed hypotheses that we then set out to prove, or disprove, in less than 48 hours. We had great coaches, a number of evaluation tools, and total freedom to create methods to engage or observe people and programs in action. 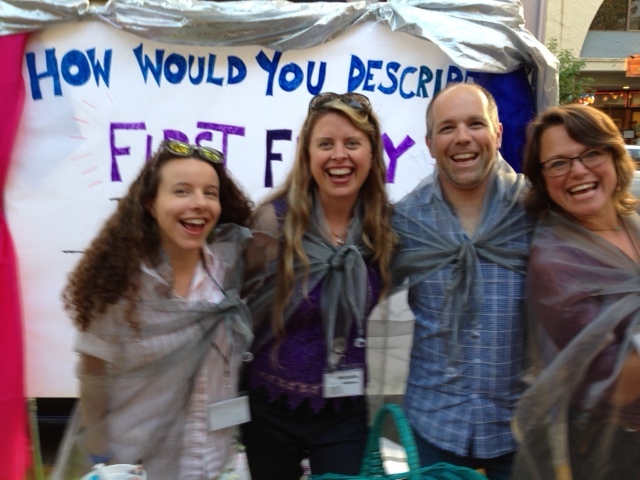 My team – the First Friday Brigade – was tasked with measuring the effects of First Friday on downtown Santa Cruz. We hypothesized that First Friday fuels a positive perception of downtown. We sort of proved our hypothesis was true – but more than that, I think we proved that the way things are measured have far too much influence on the results. That may seem obvious, but I think that realization was far more intense than anything else I learned over those several days. We asked people to – in a word – describe First Friday. And this word cloud summarizes their responses. The words were about 98% positive – but this was likely dictated by two things. First, we had a huge hand-lettered colorful sign to draw people over, and we were dressed in capes and sparkles. I’m confident that people who responded to our survey self-selected based on our positive and colorful presentation. I think only people who love downtown and First Friday wanted to talk to us. Second, I was a “barker” for the project, meaning I hollered and cajoled and bounced around trying to get folks to participate. And about fifteen minutes in, I realized that I was only targeting people whom I thought – for whatever reason, based on their appearance – would be willing to participate. As soon as I realized this, I gave myself a metaphorical slap in the face and worked on inviting every last person to participate. I got a lot more negative responses, but from there on out at least I felt I was doing my best to get a more random sampling. This got me thinking about social bridging versus social bonding in my own life. Bridging and bonding are two things integral to the philosophy behind the Museum’s events. Bonding is what happens when preexisting social groups are brought together; bridging happens between groups and individuals who might not usually interact. When I was “barking” to folks who looked like they might be happy to talk with me, I was attempting to “bond”. When I sought out folks who didn’t look like they might, say, belong to one of my mommy groups, I was seeking to “bridge”. That simple shift in behavior is so critical to building a stronger community, and yet it can be really difficult to tackle. In the last few months, bridging has been at the top of my mind. It’s so easy for me to connect with people whose worlds I’m familiar with. Give me an audience of arts administrators and I’m perfectly comfortable speaking in our shared language. Stand me next in line at the grocery store with a woman with young children and I’ll likely have a new friend and a playdate scheduled for the next week. But change that dynamic in the least – if the kids are teenagers or the audience is, for example, construction workers (and yes, this happens in my line of work) and my latent introversion rears its ugly head and I have a terrible time finding a clear line to connect. So, I’ve started a practice of bridging. I often talk to my husband about the practice of our daily lives – are we in a practice of grace and patience with our kids? Am I in a practice of integrity or just trying to squeak by? – and I find that I can only bridge when I am being keenly intentional about it, and practicing it regularly. Our research project at Museum Camp was a great practice space. First of all, there were a hundred brilliant campers milling about the museum. Though we all were there for a common purpose, there was enough diversity in passions and backgrounds in that room to allow for intense bridging. And testing my own ability to bridge, over and over, in public (and in a cape) was a terrific and somewhat terrifying practice, too. I’m grateful to have put myself in that uncomfortable space. I’m grateful that I was matched with some whip-smart people who allowed me to admit my biases and who were committed to our flawed but fun project. More than anything, I’m grateful that for 3 ½ days I was forced to hit a “reset” button in my life. I always want conferences to jar me a bit, to mix up my schedule dramatically, and to make me think differently, but they rarely deliver. Museum Camp delivered, with great conversation, truly interesting people, compelling research projects, fantastic coaches, and a very large box of mangoes to fuel our creative fires. I can’t wait to see what they cook up for next year’s Camp. Most people want to belong to a peer group of like-minded others more than they want to accept facts. The Democrats – even after hearing your fantastic statistic – will only believe more strongly that the permits should be required, because unconsciously, their highest need is a sense of belonging to their peer group. By citing what that group believes, even though you follow it up with a statistic that refutes that belief, you’ve reaffirmed what they already believed rather than shifted their thinking. Changing their belief would mean separating themselves from like-minded people, and that is against our basic human hard-wiring. I’ve just finished the second week of the Spitfire Strategies training and my head is spinning, even faster than it was last time. We learned about the “facts vs. peer group” phenomenon at the last session, but we’ve built upon it the last few days, and this idea – of cognitive dissonance – is making me rethink the fundamentals of our communications. One afternoon during the training, we were treated to a precious hour with Shankar Vedantam, NPR’s science correspondent, who talked about unconscious biases and what really drives decision-making. The thrust of his talk was that in this country – unlike many others, particularly in Europe – we Americans are almost entirely motivated by independent motives rather than interdependent motives. Meaning, if we think something will better our own lives, we will be more motivated than if we think it will benefit the greater community more. For example, I will, with this logic, care more about the drinking water where my kid goes to school than I will about the health of the water in the greater Monterey Bay. There are examples around this in both the left and right. “Gun rights” activists are more successful than gun control advocates because they make their case around personal liberty and safety and the right for individuals to bear arms. But pro-choice advocates are currently more successful than anti-choice advocates because the issue is such a personal, singular one about each woman having control over her own body. Now while this priortization of individual good over collective good might be both disturbing and debatable, it is prevalent. And yet, the majority of our messaging at the Arts Council is centered around collective good. By our very nature, we connect people, we create gathering places, we inspire common dialogue, we strengthen schools, we reduce crime, we spark economic activity. These are the stories we tell. Less often do we talk about what it means to be personally engaged in the making of or enjoying the arts. And yet, when we immerse ourselves in the arts, we are most fully present. When we are captivated by live theater, when we are dancing in a club or in our living room, when we are spending a solid hour mixing blue and white paint to perfectly capture the shade of a midday sky (and yes, I did that, once), both our hearts and our minds are completely engaged. And that is what it means to be truly present. It’s difficult to achieve that state outside of the arts, and yet we spend very little time making the case that the arts can actually make you feel better, make you happier. I can’t imagine a more personal, self-serving (in a positive way) motive. But back to the facts. And back to the fact that facts don’t matter. Perception is reality, and more than anything, people need to feel like they belong. So what do we do with this information? The best part of this training has been learning all of the science around how our brains work, and what really drives our decision-making. And what we learned is that most people will simply never change their minds. And the more we throw facts at them to try to get them to change their minds, the more they will believe what they believed in the first place. There are people who will never think the arts are important. There are people who will continue to think being gay is a choice, or a sin. 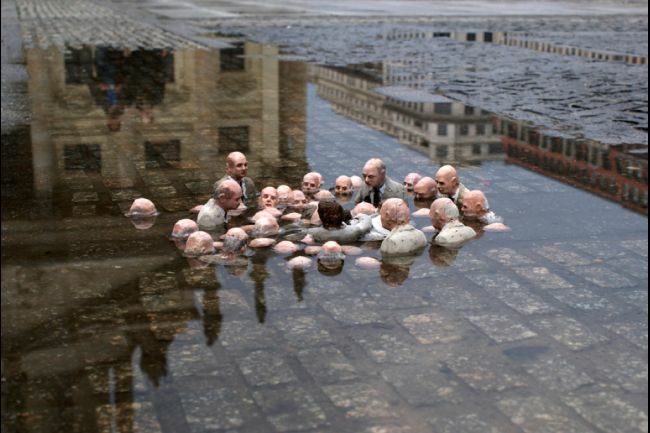 There are people who will deny climate change to their grave. So, what does all the science say to do with these folks? There’s nothing to be done. Lock a progressive in a room with ten channels turned on Fox News and 24 hours later they’ll only be more of a lefty. The same would happen to a die-hard conservative locked up with MSNBC – they will emerge even more convinced of their original beliefs. What we need to do, instead of trying to change the minds of the masses, is energize our base. Fire up our most evangelistic supporters. Get them to influence that wee 15% or so of undecided folks in our community. Don’t soften our messages in hopes of gently winning the opposition. It won’t work, and it will cause defection in our ranks. Instead, message with hope, with passion, and with conviction, believing that we are on the winning team (even if it doesn’t feel like it) and if the opposition hates our message it means we hit the mark. What if our opposition is loud, and maybe even wrong in their (to borrow from Steven Colbert) truthiness? That will only serve to energize our base, and throwing facts or statistics back at them is a waste of breath. I find all of this a great relief. Yes, there are times when we need to change the minds of people who hold great influence over policy or funding or PR that dramatically affect our work. To these folks we cannot turn a deaf ear. But if we can energize our base, spark a movement, turn some of the undecideds into our evangelists, and put great social pressure on those decision makers, we will have created a peer group that the person of influence will, hopefully, want to join. Sometimes the way in is sideways. I’ve got much more to digest, but as I barrel through the sky at 35,000 feet, finally returning home to my sweet little boys, I’m thinking about how all of this applies to us in Santa Cruz. My friends and colleagues are all engaged in hard work to make Santa Cruz the most terrific and enlightened place on earth to live, work, and play. How can we use this information to better make our case, and change our world? I’m told that babies and young children often have major developmental leaps after traveling. There is something about being in a new environment that inspires the brain to do something differently, or that triggers a new understanding. My three-year-old Andrew took his first two steps in the airport on Kauai, at the tail end of a two-week vacation in Hawaii. My one-year-old first figured out that softly cooing “mama, mama, mama” (as opposed to just nondescript moaning) was a very effective way of getting my attention in the middle of the night when we were staying in a hotel in Tahoe. These may have been coincidences. But I know that the only way I can inspire change in my tired, comparatively old brain is by getting out of Dodge and going somewhere that is completely “other”, and taking real time to think differently. Day 3 of Spitfire was the perfect cap to this experience. Andy Goodman came back and showed us that if we could change the story, we could change the world. Meaning, if we can effectively communicate the problems we are tackling and the solutions our organizations provide, we can build the resources we need to better our communities. And in the afternoon, Lizz Winstead (co-creator of the Daily Show, comedian, and activist) talked to us about how humor is a fantastic tool for activism. She’s hilarious, and, more important, she’s fearless. And thoughtful. And that is a powerful combination. I learned a lot over these three days. I had a bunch of “aha” moments, and many more moments of great satisfaction as common sense, best practices, and my own passion for my work at the Arts Council all came together to illuminate great possibilities for my organization. And I realize that if we don’t integrate some of this learning, we’ll – in some ways – just spin our wheels and never fully realize the Arts Council’s full potential, and fall short of the additional tremendous impact we could have in this community. But if I hadn’t gone, I wouldn’t have known what we were missing. It’s true that integrating what I learned into the Council’s work will take time and energy. But what would be worse: business as usual, or a little more work on our plates that will inspire the next era of Arts Council awesomeness? The point is this: we all need opportunities to think differently. 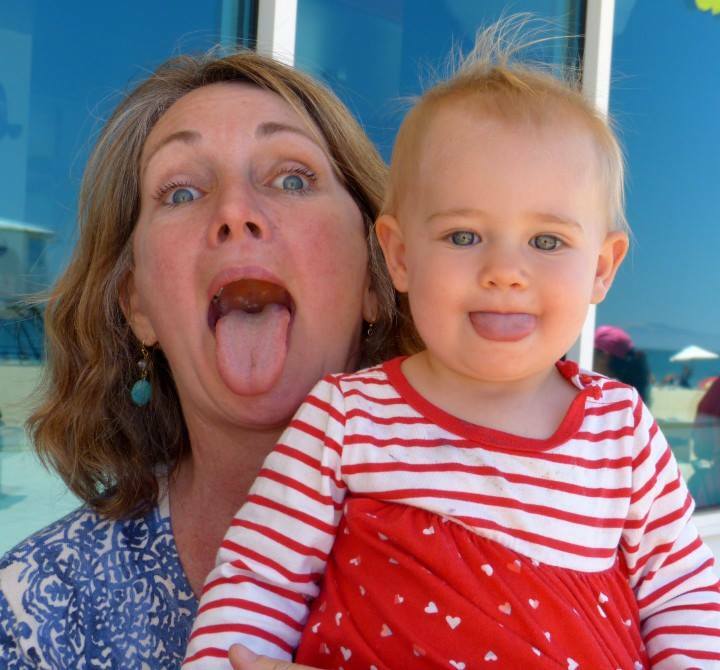 We all – as individuals and organizations – need great trainings, taught by wildly skilled instructors and attended by passionate, smart executors, so we can learn to, say, move in a different way (like a toddler’s first steps) or communicate in a different way (like a baby figuring out a deeply instinctive motivator for his mama). In the nonprofit sector, when money gets tight, we generally cite “marketing” as the first thing to get slashed from a budget, and we bemoan the loss. I’m willing to bet, however, that professional development gets cut long before marketing. My advice: DON’T DO IT. Don’t cut it. Fund it. Over-fund it. Got a professional development budget? Double it. Talk about it at every staff meeting. Champion it to your board. If you are a funder, be very, very smart like the Hewlett Foundation and the Packard Foundation (oh, and wait, also like Arts Council Santa Cruz County) and invest in it for your grantees. If you are a staff member, and you find a training opportunity, and your organization can afford it, and the people who are running it look smart and savvy? Don’t make excuses that you don’t have time. (Don’t even let your sweet little new baby hold you back from going – trust me on this, you’ll love the sleep.) Just do it. We’re all too busy, we’re all overcommitted, and I’m realizing that even as I tell that story about my own work life, I also find my “busyness” really boring. Enough already. Let’s all make a commitment to expand our minds, our social networks, our skills, and our lives by investing in the professional development of ourselves and our colleagues. For ten years, the California Arts Council was 50th out of 50 states in per-capita arts funding. What does that mean? It means that, for every resident, California invested less money in the arts than any other state. Less than, say, Mississippi. Or Wyoming. Or Rhode Island. You get the picture. In the last couple of years, we’ve crept ahead of Kansas and Georgia, making us 48th out of 50. 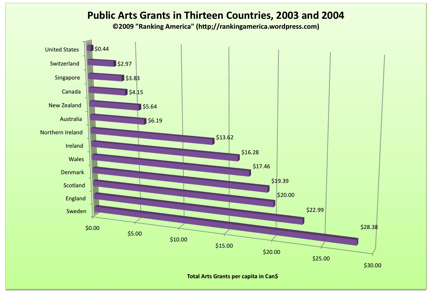 We won this “race to the bottom” in 2003 when the California Arts Council’s budget was gutted by 94%. Most of us who work in the arts here are well aware of this groan-inducing, eye-rolling fact, and even if you didn’t know it, you’ve felt the effects. If you live in a small, rural area, it’s likely that your local Arts Council is run by volunteers or woefully underpaid staff, which means they have limited capacity to serve their greater communities. (Actually, this is true in some large metropolitan areas as well.) No matter where you live, your schools likely have fewer arts programs than during the California Arts Council’s (comparative) heyday. When the CAC budget was slashed, it left the field with a greatly diminished state arts agency, which had at one time provided significant operational and programmatic support. Local arts agencies were forced to be scrappy, do more with much, much less – or, in some unfortunate cases, fold. The graph is a bit old (and hard to read), but the information, sadly, isn’t. (You can see it better here.) Yep, out of the thirteen major countries studied, the US was 13th. We won the race to the bottom again! Why does this matter, in my wee town of Santa Cruz? Because leadership matters, and like it or not, top-down leadership often has the most significant impact. We grassroots folks can show how we are inspiring children, building bridges, creating jobs, beautifying the world, and changing lives, but if the top leaders and legislators in this country don’t recognize the value of what we do, we’re blowing dandelions in a wind tunnel. The California Arts Council, Californians for the Arts, and local arts agencies from across this state are working to steer our Golden State ship in a new direction. The short version is this: the creative industries in California account for 7.8% of the state’s GDP. They generated $273.5 billion in total output, and employed 1.4 million workers who paid nearly $13 billion in taxes that went into the state general fund and to local governments. Yep, we are talking billions. And yet, our state’s investment in the arts totals about three cents per resident. (Emphasis mine.) And how do we produce new ideas? We give children and adults the opportunity to express themselves, to learn how to think critically, to fail safely and try again, how to work in teams, how to innovate, how to invite inspiration. We do these things through the arts. Consider this: creators and community members in California are already doing great things with very little support. Imagine a world where we invested in the creativity of our great thinkers, starting from the time they were children. Imagine what we could do, what problems we could solve, what connections we could create. Actually, I can’t imagine. Because the sky would be the limit. So what are we doing about this? Here’s the big news: two legislators are proposing an increase to the California Arts Council’s budget. This increase is modest when compared to the billions pumped back into the economy by the arts sector. The current proposal would take the Arts Council’s budget from $5 million to $25 million annually. $25 million is equal to the agency’s 1983 budget, adjusted for inflation. Senator Ted Lieu will shortly introduce this legislation. And Assemblymember Ian Calderon has already introduced a bill that would also increase the CAC’s budget. “We must fund arts programs that reflect the contributions they make to the people of California”, he said. Sometimes Sacramento seems really far away from everywhere else. It’s easy to think that lawmakers and legislation have little to do with our everyday lives. But I promise you: these funds will make a difference to your children, and your community. With this support, organizations like mine will hire artists to come to your kid’s school. We will produce stronger programming for you to enjoy with your friends and family. We will help artists and designers innovate as they create the next big idea and perhaps one day employ you or your kids. Art matters. Investing in the arts matters. So what can you do? Call your State Senator and Assemblymember and ask them to support this legislation. Don’t know who your electeds are? Find out here. Encourage your local elected leaders to contact them as well. Buy an Arts License Plate. They are beautiful and will directly support creative programming. Check the Keep Arts in Schools Fund when you file your taxes, and make a contribution that way. Donate to your local arts council. Ask for arts in your kid’s school. Take your kids to the museum, or the theater, or the library. Support the arts in whatever way inspires you. The first time I sang onstage, I was in 6th grade, and I warbled my way through the second verse of “Winter Wonderland” in my school’s holiday concert. The first time I had a lead acting role was when I was fourteen, in my high school’s production of Godspell. The hundreds of hours of practicing my craft, of battling crippling stage fright, of the constant search for the next job, of dealing with elation one day and rejection the next – all of this gave me skills that have proved invaluable: grit and determination. I hung up my acting hat over a decade ago, for two reasons: one, I wasn’t that great an actor and I knew it. Two, I always knew that there was something else that was truly my calling. Luckily enough, I discovered what I am meant to do, and get to answer that call every day at the Arts Council. My hard-fought grit and determination have never left me, and now I get to use them to build community through the arts. Any artist will attest: working in the arts requires a profound sense of self, shutting out the naysayers, constantly proving your worth and relevancy, and baring your soul. The passionate folks who are spearheading Shakespeare Play On are doing just that – with an astounding amount of grit and determination – and the world is responding. For those of you who don’t already know the saga, in short, the University of California Santa Cruz’s Dean of the Arts pulled the plug on Shakespeare Santa Cruz (SSC) one week prior to the closing of their regular season last summer. I wrote about this back when it first happened, and won’t get into the “why” and “how” at this point. But I will say that after 32 years of being one of the most excellent Shakespeare companies in the country, and a beloved institution of theatergoers in Santa Cruz County and far beyond, the outcry was immense. The Arts Council was, cumulatively, one of Shakespeare Santa Cruz’s largest funders. And many of us at the Council, as lovers of great theater, were also raving fans. When talk began – almost immediately – about saving SSC, we wanted to be involved. Several SSC board members stepped up and created Shakespeare Play On (SPO) with the intention of reforming the organization as an independent entity, with the same artistic integrity (and artistic staff) as SSC. Their idea is to front-fund a 2014 season by raising $885,000 by February 1st. The 2014 season proceeds would then seed the 2015 season. (Most theaters, out of necessity, operate in the opposite direction: they expend their resources to put on a season, and then pay their debts with ticket sales and sponsorships after the season is over.) This is a very simple but smart idea. In December of last year, the Arts Council signed on as Shakespeare Play On’s fiscal sponsor. Since then, we’ve been strategizing with their board members, helping to promote their vision, and receiving donations on behalf of the newly-formed organization, and holding those funds in trust as SPO works on getting their own non-profit status. This is an extraordinary accomplishment. They still need to raise $203,000 in a very short time frame, but I’m confident that they will make it happen. And when they do, it will be a testament to the power of the arts, the passion that people feel for great theater, and the generosity of this incredible community. Grit, and determination. 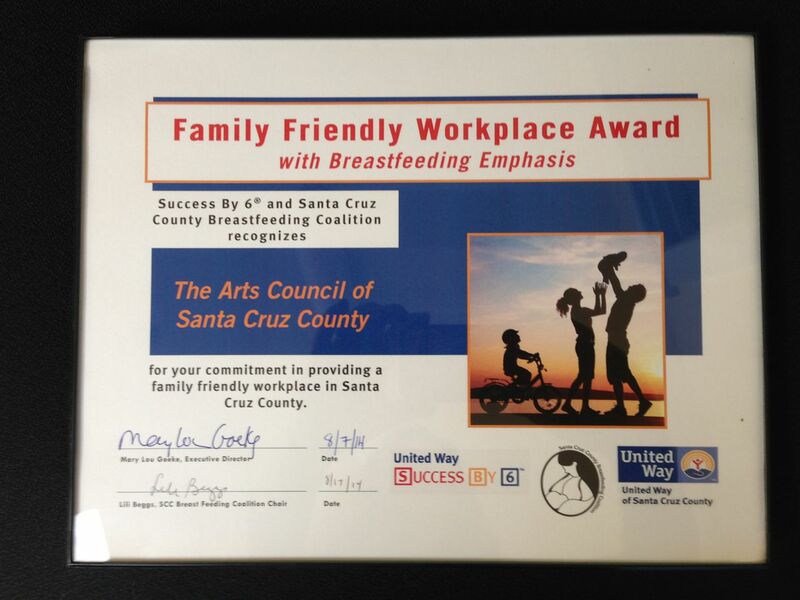 With these, we can move mountains – and keep great art alive in Santa Cruz County. Arts councils are a singular and often misunderstood breed. 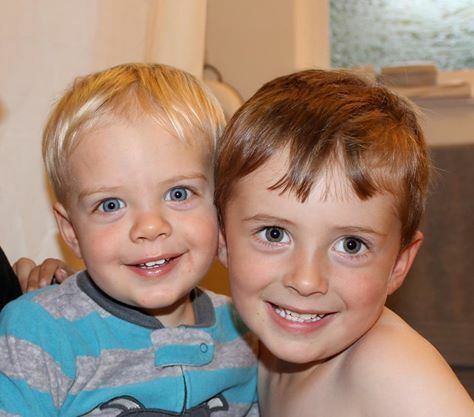 I often get asked what they are, what they do, and why they are important. Over the past two years I’ve twice traveled to San Diego to participate in a movement to create one in that county, and the role of an arts council is one I’m asked about frequently both when I present in public, and when I talk about my job one-on-one. I always speak passionately about arts education, advocacy, programs, and grants, but the one thing that truly inspires audiences whenever I discuss the unique role an arts council can play is when I talk about the Cultural Council Associates. The CC Associates is a group convened by the Cultural Council that consists of 50+ arts-related organizations from throughout Santa Cruz County. We gather every other month to share stories, network, and learn from one another. We start the meetings with “One Big Thing”: each organization representative shares the biggest thing coming down the pike. Sometimes it’s an event; sometimes it’s a major grant; sometimes it’s a need; and sometimes it’s a call to action. But it’s always inspiring. We then discuss any major issues in our field (opportunities, news about public funding, advocacy efforts), and end with a short “skill share” where one of the Associates steps up to share a technical tool or technique that they’ve found useful. The “skill share” is a powerful element of the meeting, as they are usually something that can immediately be put to use, as needed, by organizations both large and small. Our biggest Associates meeting challenge is also one of its greatest assets. Many of these folks have been working together in this community for years, and they have much to chat about – so getting the meetings started always takes a few minutes and some enthusiastic gavel-pounding. Sounds dreamy, doesn’t it? Well, it is. It is a very special group and was the tipping point for me when I was considering whether I would move to Santa Cruz to join this arts community. And I’m also learning just how rare this kind of group is. Almost everywhere I go, when I talk with other arts leaders, I hear about the competition amongst arts organizations that ranges from friendly rivalry to outright enmity. At my previous job, I worked incredibly hard to create a similar alliance, and found the task to be next to impossible. Personalities clashed, old grudges interfered, and some organizations declared outright that they weren’t interested in working with one another. Granted, that community doesn’t have the same kind of public funding and comparatively robust support that the Santa Cruz arts sector is so fortunate to enjoy. It’s terribly hard for a nonprofit arts organization to thrive in an environment of incredibly scarce resources, and when you are worried every single day about keeping the doors open, it can be hard to also open your heart and mind to others in a similar circumstance. Because this isn’t about organizations, really: it’s about the people who work in them, and whether or not they have the interest, ability, and capacity to come together. Determine a neutral body – or one that is as neutral as possible – to coordinate the effort. 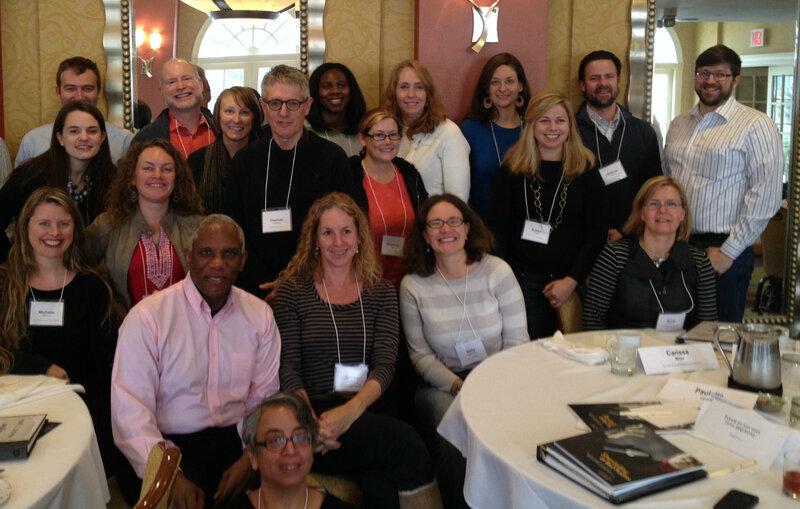 Arts councils are often perfectly poised to make it happen. Although the arts council might receive funding from the same sources as other alliance members, the mission of a council is so specific and discrete that it may have a better shot at bringing folks together. Don’t try to create an arts alliance in a vacuum. Potential alliance members should consider partnerships and volunteer opportunities outside of the arts sector that could positively benefit the alliance. This could mean getting involved with the local Convention & Visitor’s Council, Chambers of Commerce, service clubs, etc. This will take time, but only by getting involved will you be able to give the alliance legs – and you will also be able to actively advocate for and demonstrate the impact of the arts. Get your local governments on board. Having representatives from city/county arts programs (if they exist) are key to legitimizing the efforts of an alliance – and can be a fast-track way to assist in advocacy when issues arise. Regularly show up to speak about the alliance and its benefits and collective impact during public comment at city council/county supervisor meetings. Be sure to reach out to organizations and groups large and small to be a part of the alliance. If only big dogs are invited, it may appear elitist, and you run the risk of missing out on the innovations of the smaller or emerging groups out there. Plus, the opportunities for collaborations will be greatly diminished, and the experience won’t be nearly as rich. Start by having a “there there” – some grand reason to get together, be it an event, an opportunity, a speaker, something to get folks in the door the first time. And then ask those folks what would make them keep coming. Meet somewhere that is big enough to accommodate everyone, ideally in a creative venue. Have a Chair and a Vice Chair who together coordinate and run the meetings. Have these offices rotate annually, so lots of folks get the opportunity to provide leadership. Choose something that all of the alliance members can get involved in. The Cultural Council Associates have the Gail Rich Awards, in partnership with the Santa Cruz Sentinel. Create (and then disband, as needed) committees if specific tasks or projects come up. The Associates has an ongoing Professional Development Committee, as well as a Gail Rich Committee that meets only when it’s time to plan the event. Stay in touch via social media. The Associates has a Facebook page where folks post cool stuff pretty regularly. Did I mention to bring snacks? Have the long view. If it’s slow to start, keep trucking. Thirty years from now you may have a robust and exciting group of people that love to see each other every other month. And that’s a fantastic gift you can give your successors. I’ll continue to champion arts councils wherever I go. But I’ll also sing the praises of the Cultural Council Associates, because I strongly believe they are a major part of what makes this community so fantastic. We at the Council may hold the knitting needles that bring the yarns together, but it’s the Associates that make the gorgeous, colorful, and vibrant blanket that covers this community in creativity.